Much has happened here in the shop the last couple months. We have been posting regularly on our Facebook page, and you can check in there to catch up with all the goings on. We had a great Holiday season here in the mall . . . the best since Penny’s moved to a bigger space at the other end from where we are. Burlington opened in that vacated spot early last spring, and the number of shoppers in our corridor has greatly increased. It has been wonderful to see so much activity down here by our shop! It is even better when new customers stop in here for the first time with the promise to come back often! 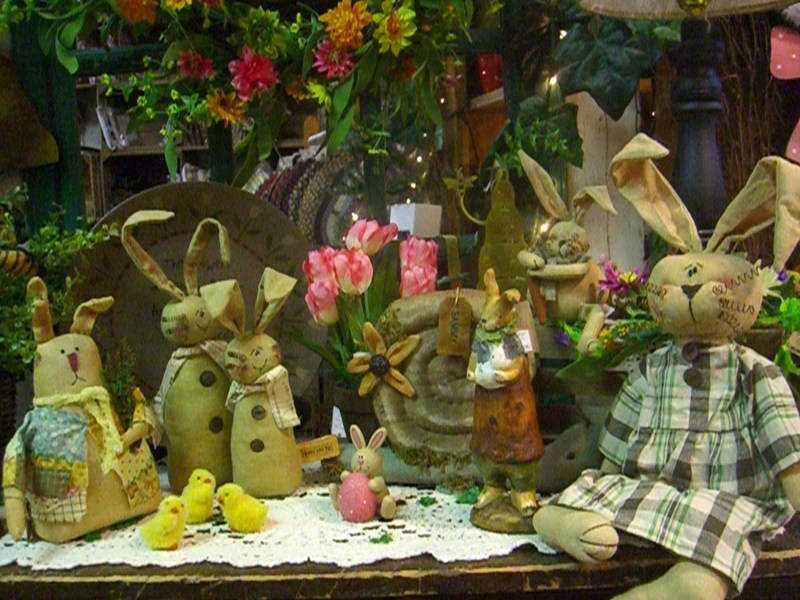 We have did have a really big selection of spring goodies. 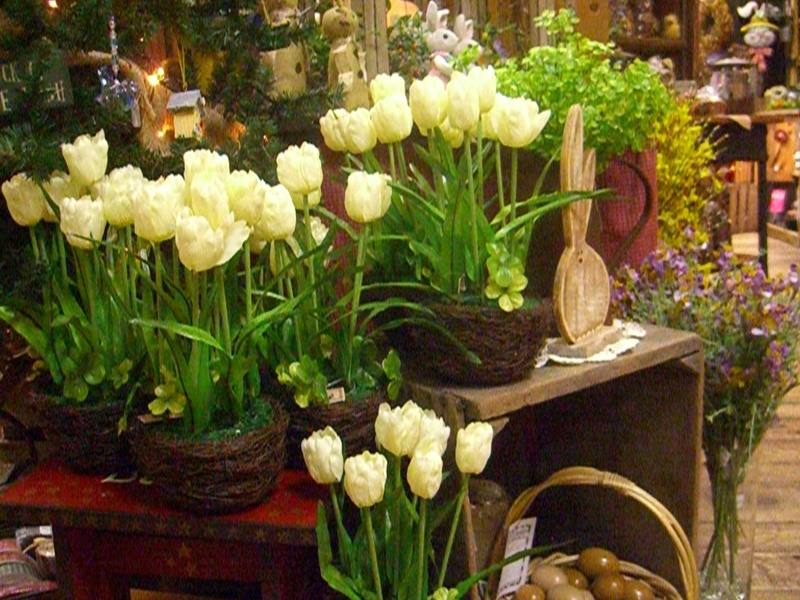 After a big snowstorm earlier this month – florals, bunnies, spring wreaths, garden flags and more has disappeared off our shelves! Everyone is pushing for warmer, sunnier spring weather! We’ve been able to replace some of what left here to go to wonderful homes, so the store is not totally empty! Our little shop has been pretty busy – but we love to see everyone and catch up on how things are going! Stop by soon to visit.